Cellphoneunlock.net makes phone unlocking fast and easy so even YOU will be able to unlock your phone to work on another GSM Network. Its so easy you will be able to unlock this phone right now from the comfort of your own home! Unlocking your Pantech Burst P9070 is fast and easy. We can unlock any GSM network including AT&T, T-Mobile, Rogers, Bell, Telus, etc. Once unlocked, your Pantech Burst P9070 will work on other GSM Networks. 100% Guaranteed to unlock your Pantech Burst P9070 Network or your Money Back! 1. POWER ON PHONE WITH A NON ACCEPTED SIM CARD 2. Phone willl Prompt you to enter a Network Unlock Code 3. Input the 8 digit Unlock Code 4. Press Enter 5. The PHONE is now unlocked OR 1. POWER ON PHONE WITH ACCEPTED SIM CARD 2. Press the following keys: *#865625# 3. A SIM Unlock Menu will appear, press OK 4. Enter Unlock Code (8 digit code)* 5. Re-enter Unlock Code (8 digit code)* 6. YOUR PHONE will display Unlock Process Complete. Press OK. 7. The PHONE is now unlocked Place your order here to get Pantech Burst P9070 Unlock Code 1. We will require your IMEI number (Press *#06# on your dial pad) 2. The Network your Phone is currently locked to 3. Once, your IMEI number has finished procesing, we will email the Unlock Code to you. 4. After receiving your Unlock Code, we will be able Unlock your device in 2 Minutes! With over a decade of experience in the mobile industry we are one of the top rated internet unlocking sites. 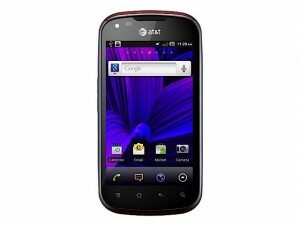 We guarantee lowest prices and fastest turnaround to unlock your Pantech Burst P9070. Why should I Unlock my Pantech Burst P9070? Phone unlocking is used when you would like to change Networks or service providers using the same device. After you Unlock Pantech Burst P9070 you can simply insert the SIM card from the service provider of your choice (Must be GSM) and then use the same device. Is it 100% Guaranteed to unlock my Pantech Burst P9070? Is this Safe to unlock my Pantech Burst P9070 and is it Illegal? Unlocking your Pantech Burst P9070 by remote unlock code is 100% safe. These phones were built to accept unlock codes. It is the same method service providers will use to unlock their devices. Cellphone unlocking is also 100% legal and will not void warranty on your device. Get Pantech Burst P9070 unlock code NOW!